In a blog post Friday morning, Catholic University Chancellor Cardinal Wuerl announced his reasons for meeting with Pope Francis to discuss his resignation. Cardinal Donald Wuerl went to the Vatican earlier this week to meet with Pope Francis about resigning as the Archbishop of Washington D.C. Cardinal Wuerl submitted his letter of resignation to the Catholic Church three years ago as all archbishops do when they turn 75. Wuerl’s name was mentioned over 200 times in the Pennsylvania Grand Jury report released August 14th. The report is the result of a two-year investigation by the grand jury into widespread sexual abuse of children within six catholic dioceses in Pennsylvania, and includes the cover up between senior church officials of Pennsylvania and the Vatican. 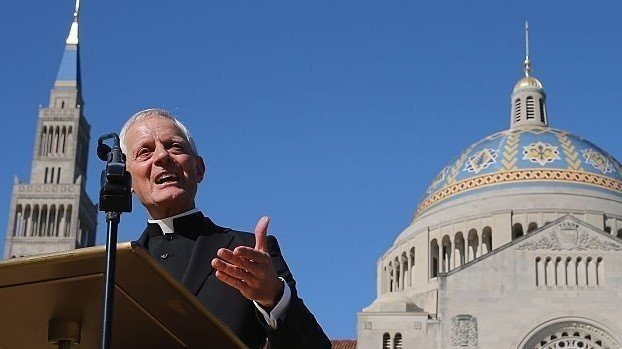 Wuerl was not accused of abuse, but as Bishop of the Pittsburgh, Pennsylvania Diocese from 1988 to 2006, his potential involvement with the cover-up has been brought into question. Wuerl was absent from the Mass of the Holy Spirit on August 30th, during the first week of classes for Catholic University students. This mass is an annual mass and is always celebrated in the Basilica of the National Shrine by the Archbishop of Washington. The Archdiocese of Washington did not respond to any requests for comment on Wuerl’s absence. Catholic University has faced a difficult semester after the Archdiocese of New York found allegations of Cardinal Theodore McCarrick’s abuse of adults and minors to be “credible and substantial”, which was announced only weeks before the grand jury report. McCarrick served as Archbishop of Washington D.C. and Chancellor to the University from 2001 to 2006. The university withdrew the honorary degree given to him while he was still Chancellor. Cardinal Wuerl concluded his blog post Friday morning by thanking those who have prayed for the church and for him. Next → Next post: 10 Things To Do This Weekend!